Inspired by a simple Grecian stool, this collection of accent tables has elegant curving metal legs supporting the wood table tops. 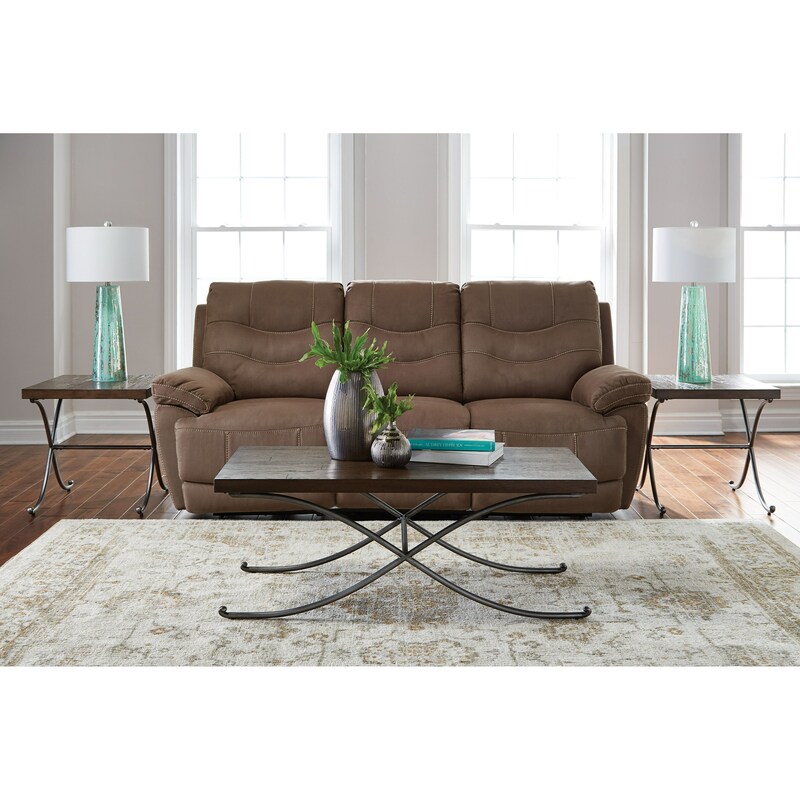 The set includes two end tables and one cocktail table and is a perfect way to update your living room. The 20540 Modern Occasional Table Group by VFM Signature at Virginia Furniture Market in the Rocky Mount, Roanoke, Lynchburg, Christiansburg, Blacksburg, Virginia area. Product availability may vary. Contact us for the most current availability on this product.